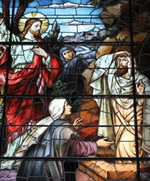 A close friend of Jesus had been dead four days when he asked Lazarus' sister, Martha, to open the tomb (see John 11). She knew the risks were great – along with the odor. National Nurses Week is May 6-12, 2011. This special week provides natural opportunities for you to creatively affirm and support other nurses and embrace them with the love of Jesus. 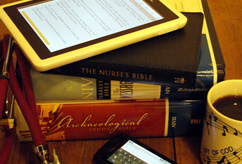 Plan now to connect, pray and engage with other nurses this week. How do you prepare for Easter? From March 9 to April 24, many followers of Jesus will participate in Lent, a time of spiritual reflection, renewal and sacrifice. Don't just give up something for Lent; take up something to focus on the person and mission of Jesus.